There is a starkness to winter in the north, but in this quietness there is a power in the simplicity. 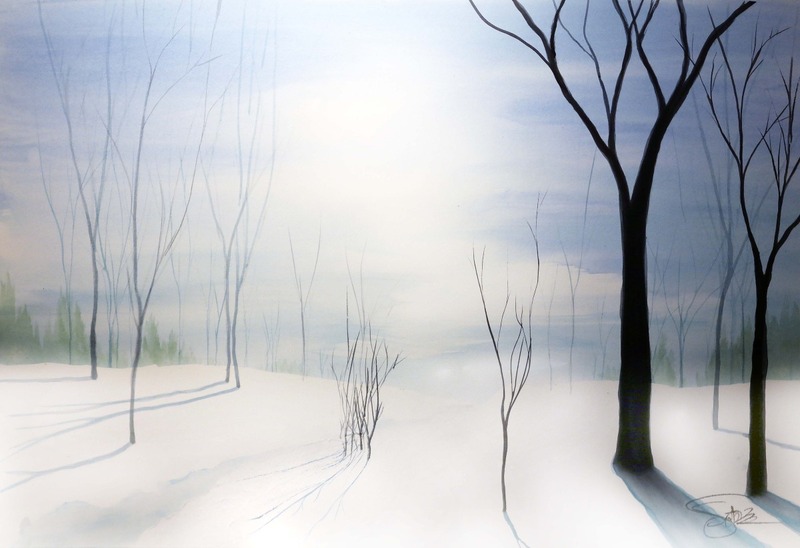 Like a cry of hope through the silence of winter this piece is striving to create solace that has force. The painting is a reflection of hope, and the promise of peace as our faith pulls us through. And moving up toward Hope.